Blog / Events / Floraviva, the green exhibition: Pescia…in flower once again! Tourists, specialists and keen on flower growing used to crowd the little city of Valdinievole during the first weeks of September to take part to one of the most interesting and important flower expositions in Europe: the Biennale del Fiore. Unfortunately, as years passed by, the exhibition, as well as flower commerce, seemed to get less and less importance and ended up leaving way only to tradition and exhibits which only rarely were attractive and innovative, as the original spirit of the Biennale required. In 2004, about 50 years after, the Biennale del Fiore shut up shop: it seemed to all of us, who were proud of being its inhabitants, that the soul of Pescia had got buried in the ground. Fortunately, 4 years ago Pescia decided to spring up again literally, giving birth once more to what had been its fortune and strong point: the colour and smell of flowers, from which has arisen Floraviva. It’s a new market exhibition, still not so world renowned as the Biennale was (but it will, believe me! ), whose core is that spirit of innovation that had been left out during the last years of the past exposition. Floraviva exhibits not only flowers, but also local handicrafts and wine-and-food typical products from Valdinievole, project, ideas and eco-sustainable proposals working towards a greener future. It’s a nice walk along gardens and tiny streets bordering the XVIth century villa (which is now house to the Istituto Tecnico Agrario – an agricultural secondary school) designed to acquaint people with the past (and future) story of this areas which still have a lot to offer. And last, but not least, Floraviva gives also space to conferences and meetings dedicated to the economic development and discovery of the territory, to projects aimed at introducing youth to the job world, and much else besides. 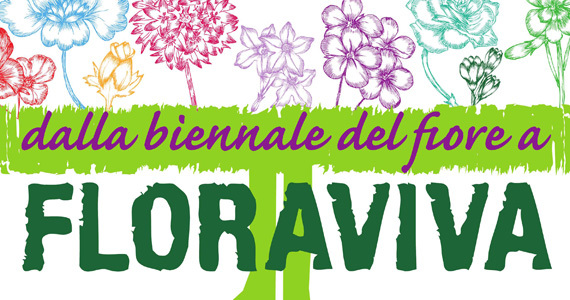 Floraviva will take place on April 14th and 15th at Istituto Tecnico Agrario in Pescia, as said before, and the entrance is free. By train: there’s a train station in Pescia for everyone coming from Lucca, Viareggio and Florence, just check Trenitalia timetable and find out the best combination for your rail journey, starting from your depart train station. By bus: Pescia is well reachable by bus also from Lucca, Montecatini and Florence. By car: from the A-11 highway, take exit ‘Chiesina Uzzanese’ and follow the signs to Pescia or to Floraviva directly, there’s a lot along the way! A week end for discovering colors, culture and traditions of the city that had been, and will be, Pescia, City of Flowers!